FINALLY!!! 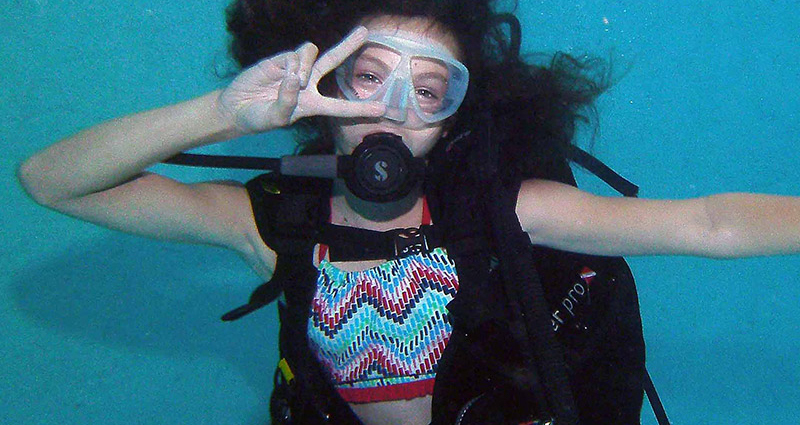 A scuba course just for kids ages 10-14yrs. Our kids only scuba csourse. This course is designed to use “kid friendly” terms and has a maximum of 4 students. And the best part……….. SORRY, NO ADULTS ALLOWED! The course is designed to interest and excite kids! Get your entire family involved in scuba diving so you can share extraordinary memories together and take your vacations to new depths! Max of 4 students (ages 10 to 14). Sorry, no adults allowed. Cancelling less than one week before the starting date of your course will result in a cancellation fee. For any questions or concerns, please ask for Dan Schade / Dive Program Coordinator.